Construction on this multi-unit housing rehabilitation wrapped up several weeks ago and it was fun to see residents start to ‘move in’. 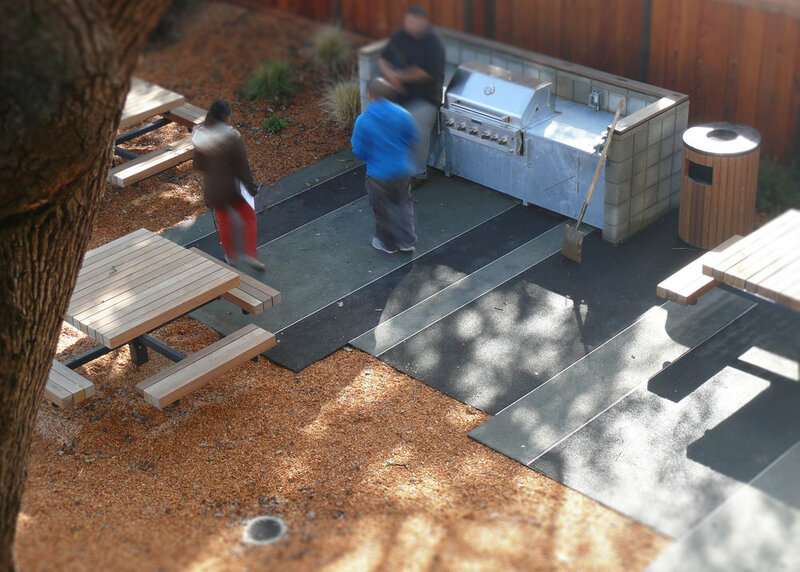 The new BBQ area was designed in collaboration with Anne Phillips Architecture and features permeable concrete in a lively pattern. The predominantly California native planting palette complements the mature Valley Oaks that ground the site. 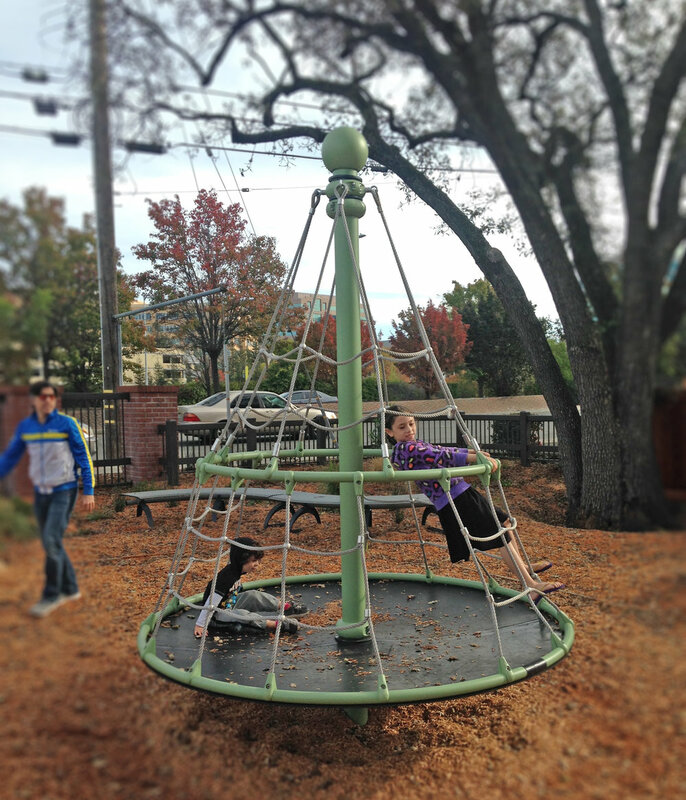 And that conifer tree shaped play element provides imaginative, open ended, and physically stimulating play for a broad range of ages! We are excited to see the space mature and continue to develop new uses by the residents.